Terry has been with our practice since 1991. She graduated from The University of Louisville in 1991 with a degree in Dental Hygiene. While in hygiene school she graduated in the top of her class and received the "Golden Scaler Award". 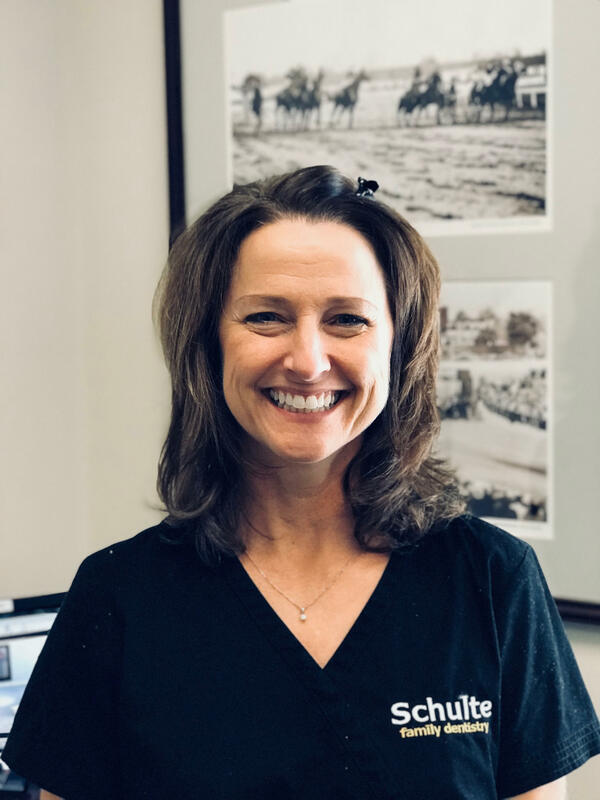 She has been in dentistry for over 30 years and brings so much experience to our practice that we are very lucky to have someone with so much talent. In building a team to help give our patients the best possible treatment, Terry is one we can really rely upon to provide the best quality of care. Our patients love her. Melissa received an Bachelors in Dental Hygiene from the Western Kentucky University in 2010. She began working at Schulte Family Dentistry in July of 2010. When asked about the best aspect of being a dental hygienist she replies, "My patients". She enjoys seeing them throughout the year and caring for their oral hygiene. Melissa believes that improving a person's oral care can boost their self confidence and that is what makes her job enjoyable. Melissa and her husband are the proud parents to their little boy, Henry! Donna began working full time with Schulte Family Dentistry in July of 2016. She graduated from University of Louisville in 1981 with a Dental Hygiene degree. She has been practicing as a hygienist since 1981. Donna had helped in our office prior to coming on full time. She is a team player! Donna has three children and one grandchild and one on the way! Treating her patients are one of her favorite parts of her job! 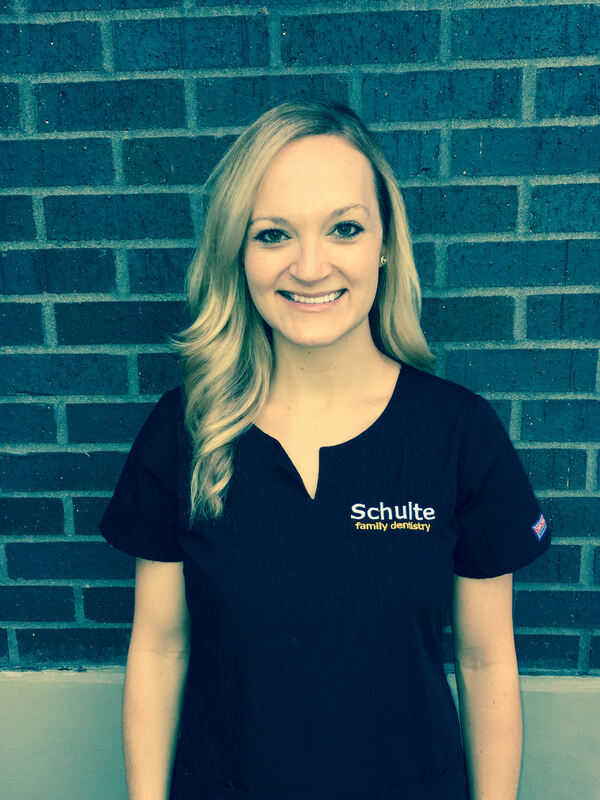 Becky joined Schulte Family Dentistry in July 2016. She will always greet you with a kind smile! Stephen joined Schulte Family Dentistry in July 2017. He is a recent graduate of The University of Louisville and is a pleasant addition to our office. Stephen is also a very talented artist!